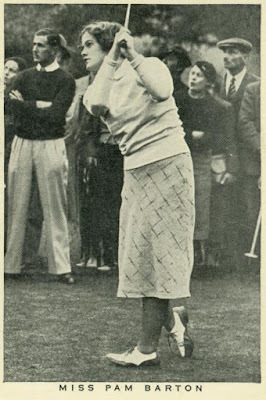 Pam Barton was, as a trading card of the 1930s described her, "Great Britain's wonder golfer": In her teens she became just the second golfer ever to win both the British Ladies Amateur and U.S. Women's Amateur championships in the same year. When World War II broke out, Barton jumped into action, serving with distinction in several posts — until she was killed in an airplane crash. We'll start Pam Barton's biography by telling you about the way she died: defending her country (and the allied world) against the Nazis in World War II. First, after Nazi Germany attacked the U.K., Barton became an ambulance driver in London. She served in that role throughout the worst days of the Battle of Britain, the air campaign of terror in which the Nazis indiscriminately bombed London and other parts of Great Britain. In 1941, Barton signed up with the WAAF (the Women's Auxiliary Air Force), an auxiliary to the Royal Air Force. She began as a radio operator, but eventually was commissioned a Flight Offer and placed in command of more than 600 at RAF Marston, an air base in Kent, England. Alas, Barton's life came to an end when the De Havilland Tiger Moth MKII she was a passenger in, and which was part of the No. 184 Fighter Squadron at RAF Detling, in Kent, crashed into a 250-gallon fuel tank trying to take off in bad weather. Barton was only 26 years old. She was buried with full military honors in the famous Margate Cemetery in Margate, Kent, England. 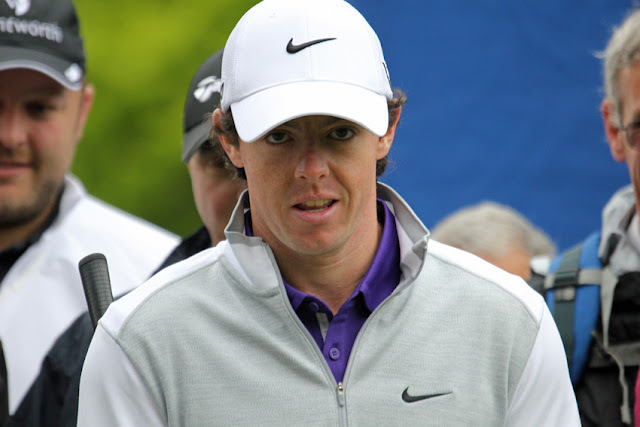 Barton and her sister grew up in a London suburb and both took up golf. But it was something of an accident of fate that Pam became a champion golfer. In 1934, at age 17, she was scheduled to leave England for France, where her mother was sending Pam and her sister to finish their educations. But a spell of unseasonably hot weather caused Mother Barton to postpone the trip until autumn. So instead, the Barton sisters headed to Wales and Royal Porthcawl, where the British Ladies Amateur was to be contested. Pam entered and made it all the way to the finals before losing to Helen Holm. She soon embarked on a world tour as a famous, 17-year-old golf prodigy, eventually traveling 50,000 miles (in an era when travel was slow and difficult) and visting the United States, Canada, Australia, New Zealand, South Africa and India. After losing in the finals of the British Ladies Amateur again in 1935, Barton broke through to win that title in 1936. The same year she added the U.S. Women's Amateur Championship. She was only 19 years old. Barton added a second British Ladies Amateur in 1939, but then wartime intervened. Following her death, the Pam Barton Memorial Salver (a salver is a silver serving tray) was created and is still, today, presented to the winner of the British Ladies Amateur Championship. The champion gets to keep the salver for a year. Barton's sister, Mervyn Sunderland-Pilch, was a prominent golfer in her own right. She played for England national teams and won tournaments in Surrey. ... Pam Barton was naturally left-handed, but played golf right-handed. Lefty clubs were rare in that time, and golf instructors typically tried to convert any left-handers who came their way to playing righty. ... "Of sturdy build, she had a free swing," Peter Alliss once wrote about her. She played for Team Great Britain & Ireland in the 1934 Curtis Cup and the 1936 Curtis Cup, but earned only a half-point in those appearances. ... Barton also played for Team GB&I in the Vagliano Cup (against Continental Europe) in 1934, 1936, 1937, 1938 and 1939. In 1937, Barton's golf instructional book, A Stroke a Hole, was published in the U.K. It is considered a collectible today.